High blood pressure is a serious health risk that opens people up to heart attacks and heart disease, strokes, diabetes and other illnesses, but is medication the answer? Some would rather treat conditions naturally as often as possible, and it’s possible to do that with hypertension. Shedding extra pounds and exercising regularly can do wonders for high blood pressure. The Mayo Clinic notes that blood pressure goes up as weight does, so “losing just 10 pounds can help reduce your blood pressure.” And Prevention.com says even walking briskly will do when it comes to fitting in physical activity. One of the important things is to put in the time, which could be about half an hour, a few times a week. A healthier diet will help control blood pressure, the Centers for Disease Control and Prevention advise. One of the biggest factors is salt intake, which we get most from processed foods and restaurant meals. Reducing sodium in your diet will help control high blood pressure, and the Mayo Clinic notes that adding more potassium can help you with that: “Potassium can lessen the effects of sodium on blood pressure.” Other food elements to look out for are fat and cholesterol, and in general health experts recommend upping food and vegetable consumption and drinking less alcohol. The good news is that dark chocolate might be good for heart health, so that should help ease the pain. This may be the most painful thing on the list for some, but drinking less coffee will help blood pressure because the glorious elixir tends to boost the effect of stress on the body. The Mayo Clinic notes that research is not definitive — caffeine may only have a drastic effect on the blood pressure of people who don’t often drink coffee — but it’s better to be safe than sorry. The organization recommends testing your blood pressure within 30 minutes of drinking caffeine to be sure. Speaking of stress, try not to do it. It drives people to smoke, drink or engage in other unhealthy activities, and the kind of stress many people experience at work can tighten blood vessels, increasing pressure, Prevention.com notes. But there are ways to reduce that stress, such as drinking herbal tea, exercising, listening to music and leaving work at the office. The Mayo Clinic adds that taking 15 to 20 minutes every day to sit quietly and breathe deeply could help, as could simply doing things you enjoy. Meditation is another way to relieve stress, and it lowers the risk of cardiovascular disease, the American Heart Association says. 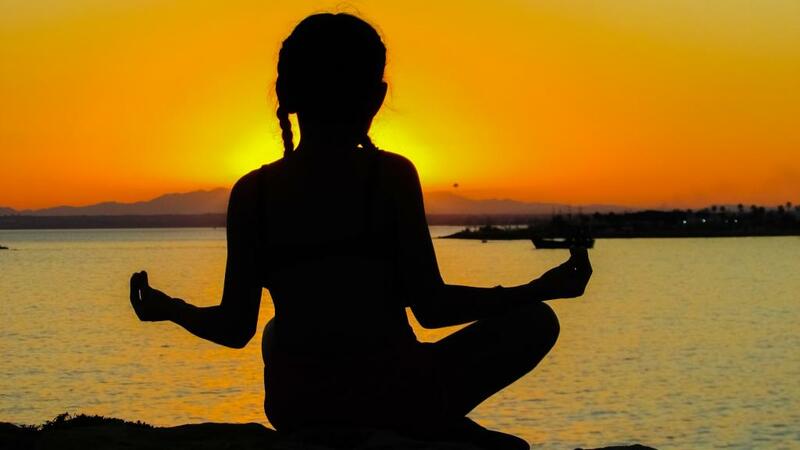 “Meditation is a practice — often using deep breathing, quiet contemplation or sustained focus on something benign, such as a color, phrase or sound — that helps you let go of stress and feel peaceful and maintain a relaxed state of mind.” Studies have shown that meditation reduced the risk of heart attack or stroke by almost 50 percent in people with heart disease. It can also help people sleep better. This one is crucial because sleep is important for healing and restoration. People who get five or fewer hours of sleep every night tend to develop high blood pressure or see their high blood pressure get even worse, the Mayo Clinic reports. “Over time, a lack of sleep could hurt your body's ability to regulate stress hormones, leading to high blood pressure.” That link between sleep deprivation and hypertension makes sense, given the fact that people with sleep apnea, a condition in which breathing is disrupted during sleep, is considered a risk factor for heart disease.